+374 10 47 11 00 Phone +374 44 30 08 00 Stroke team Helpline +374 12 80 08 00 MRI dept. In collaboration of Nairi Medical Center with the famous in Europe Finnish Coxa clinic has been established joint Armenian-Finnish clinic of orthopedics Coxa – Nairi. Leading specialists of the clinic in cooperation with our specialists that had advanced training courses in Finland will develop the experience of using the advance digital technologies during implantation of knee, hip and shoulder joints; and also during the implementation of the secondary implantation that has no analogs in Armenia – so called revision. This surgery is conducted in the event of necessity of repeated implantation in case of complication or deterioration of the joint. These unprecedented possibilities will allow the clinic to gain the regional significance and to play the strategic important role in the region. The fact that the use of digital diagnostics with the application of high-technology equipment, the exceptional technique of implantation, the peculiarities of post-surgical maintenance of patients and methods of rehabilitation are maximally approached to the standards of Coxa clinic is very important. All this will allow to significantly increase the effectiveness index of treatment in the account of making short the time of patients’ improvement and their return to the regular life; and also will allow to maximally avoid the pain syndrome. At the opening ceremony participated the founder of Coxa clinic Matti Lehto, who is also the rector of Medical University of Finland and thanks to whom it will be possible to develop the program of advanced training of specialists in collaboration with Yerevan State Medical University. In the ceremony was also present the Director of Coxa clinic Tarmo Martikainen, who contributed the great effort into the development and realization of the Coxa – Nairi project. Coxa – Nairi clinic collaborates with leading American implant company Zimmer represented by the company representatives Tommi Qvick and Marko Reinikka, whose production for the present is distinguished by the high quality and big advantages. The long term collaboration is assumed, which will assist in the development of endoprosthesis replacement in Armenia. Consultations of Finnish specialists will take place from the second half of April. 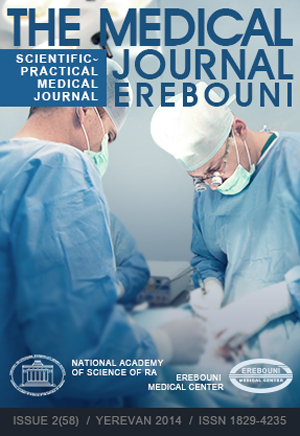 In accordance with the "Law of Copyright and Related Rights" when copying or reproduction of materials posted on this site, specify the source - the Web site of the Erebouni Medical Center - erebunimed.com is highly requested.